Giving your bedroom a simple refresh can transform your space and bring it new life. I love making small changes around our home by incorporating new accent pieces, textiles, etc. You already know my love for Muji; they literally have everything you need! Today I am going to show you a few easy ways to update your bedroom with Muji. 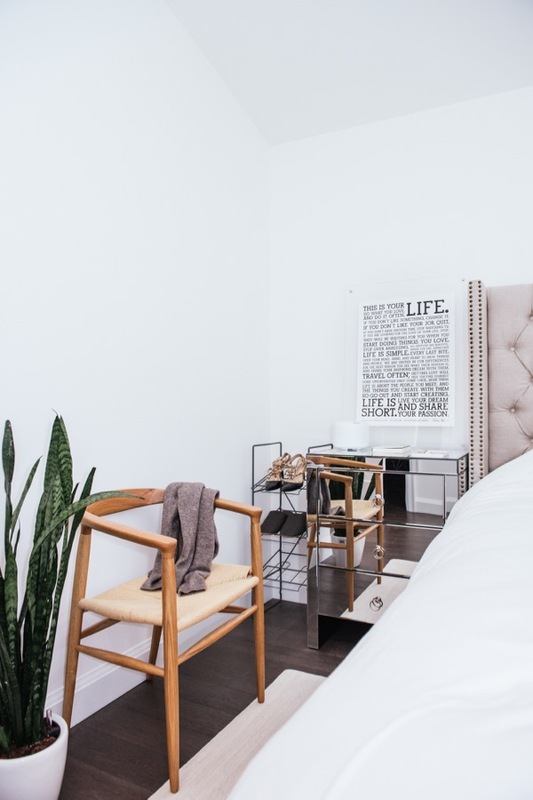 If you have been thinking about re-designing your bedroom, here are a few ideas to inspire you! I am sure we have all heard before that when it comes to creating or recreating a space, it often starts with an individual piece. That can be a larger item like furniture, or a smaller item that is used as an accent piece. For me, it was this modern book holder from Muji (below the nightstand). I loved the simplicity and weight of it. Collecting books is something that I really enjoy to do, even if I don’t always have time to read them. Muji carries a wonderful selection of books! A bedroom should be a calm, comforting space that encourages you to unwind. 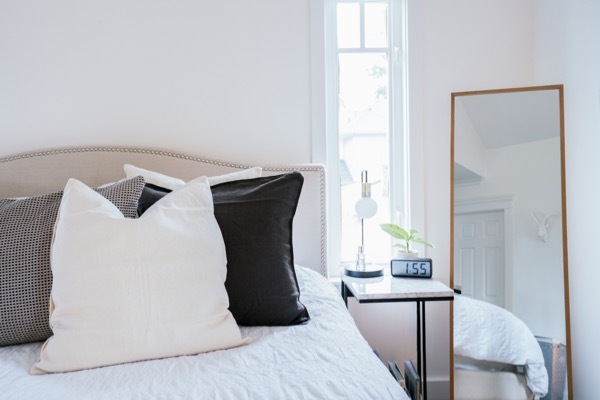 I lovc whites and neutrals for a bedroom as it feels clean and bright. If you are looking to create more depth and prefer a similar colour palette to mine, you can do so using texture. Muji carries a variety of bedding and textiles in neutral colours and minimal pattern. This also helps to create a timeless space that will go beyond the current trends. I found a collection of big accent pillows from Muji in different shades to style our bed. I have a love for pillows (can’t get enough of them), and I also like how they pair with the all white bedding. This wool cotton handwoven mat from Muji breaks up the carpet and adds a minimal pattern. I personally feel that you can still use a rug in a carpeted space! 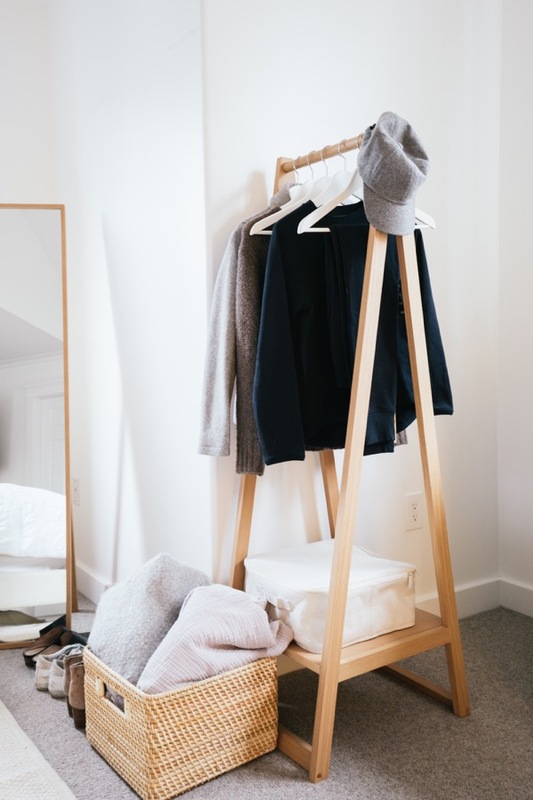 If you have a small closet or prefer some clothes to be displayed outside of your closet, this wooden oak coat rack is a beautiful piece to add to your space. Place a basket below for storage/decoration, or use the base to display shoes. 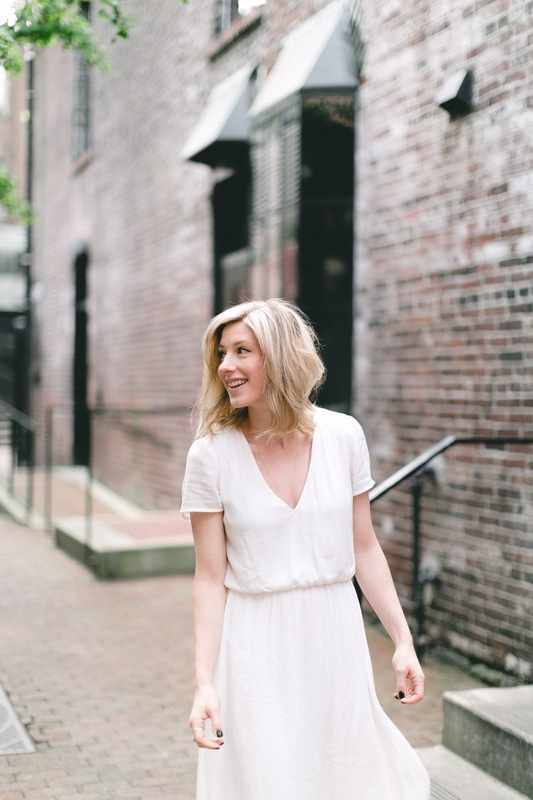 The clean lines and natural materials makes this an easy piece to customize as you see fit. Muji offers a massive selection of storage solutions. I am not exaggerating when I say that I could literally spend ALL DAY there looking (and buying) storage items. These rattan baskets are both beautiful and functional. I love keeping extra blankets close by so these baskets are a perfect way of storing them. The oak floor mirror can be placed side by side with the coat rack, or stand alone. I angled the mirror in the corner of the room to fill out the space. It’s always useful to have a full length mirror in your room to see your outfit of the day! I also feel like it gives the illusion of a bigger space. Next up, styling your side table. I have been talking to Scott about getting into the habit of leaving our phones downstairs at night for a while now. A simple way of making that switch is having an alarm clock! I love this digital clock by Muji as it is simple, modern and our kids can also tell the time! Incorporating greenery to any space brings life to a room. I love this small plant from Muji as it does just that, but also does not take up too much space. If you are someone who loves to wear accessories daily (like myself), it is convenient to have a small dish to place your jewellery at bedtime. Lastly, you will never find me without a coffee in hand in the mornings 😉 Both the jewellery dish and coffee mug are available at Muji! 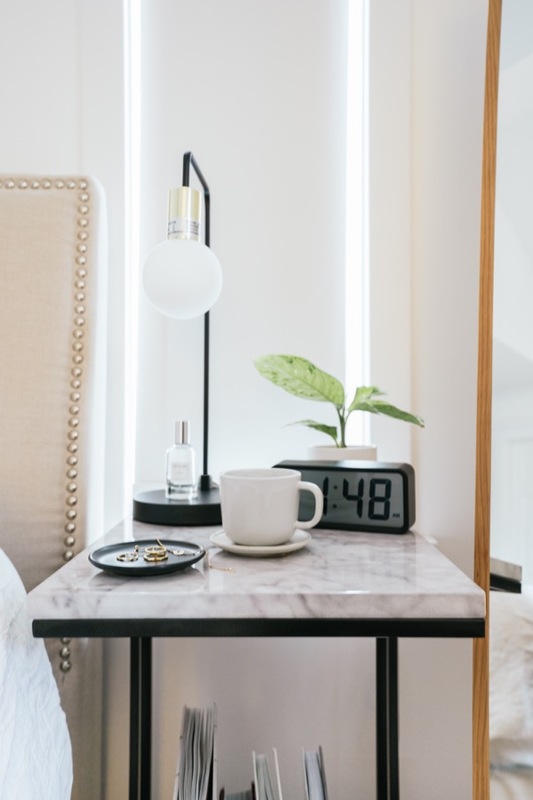 Jessica also had an opportunity to style her bedroom with Muji products, and I think she did an amazing job! What I love about the Muji products is that they are simple and classic in design, and always functional. It doesn’t matter what style you may have or what your space looks like, Muji suits every home! Here is a sneak peek at Jessica’s space. Click here to see more!